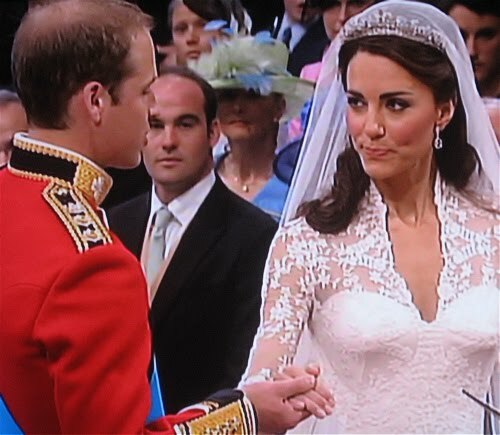 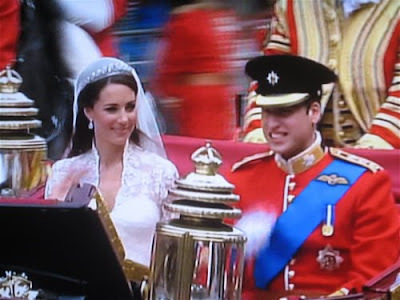 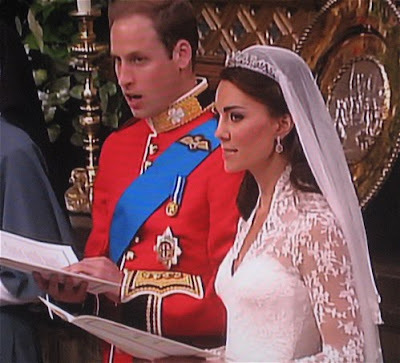 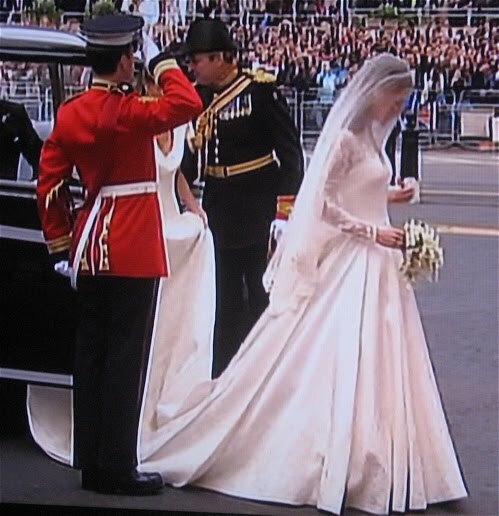 Kate looking beautiful in her wedding gown designed by Sarah Burton for Alexander McQueen. It has a very feminine 50s feel, reminiscent of the gown Grace Kelly wore which was designed by Helen Rose when she married Prince Rainier of Monaco. 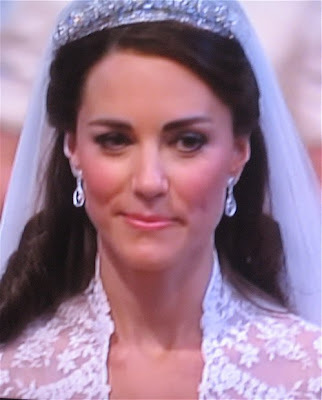 I was hoping she would wear this style. 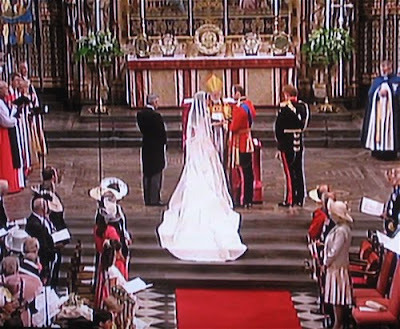 It could ring the death knell for strapless gowns for a while which will be a welcome relief. 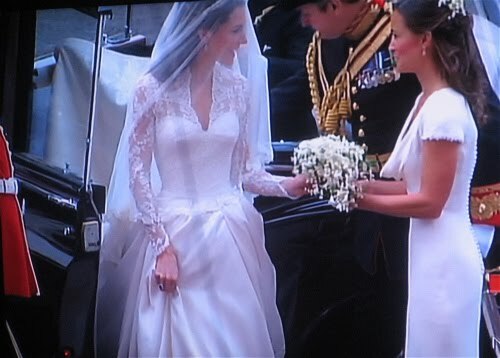 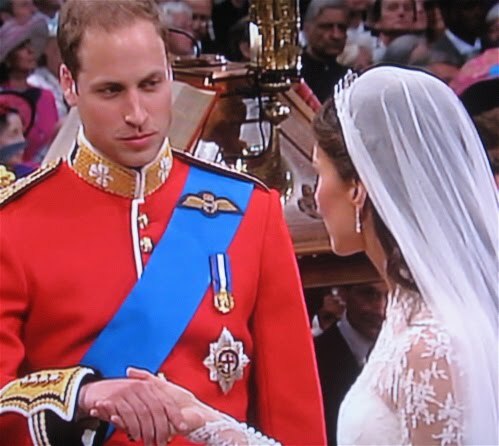 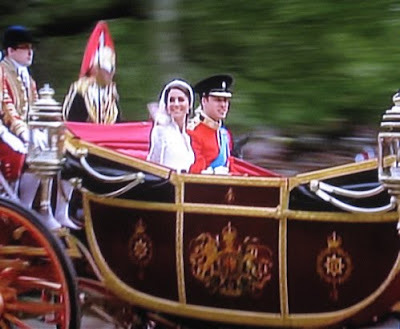 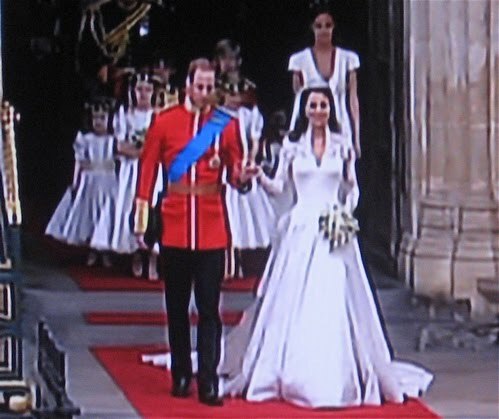 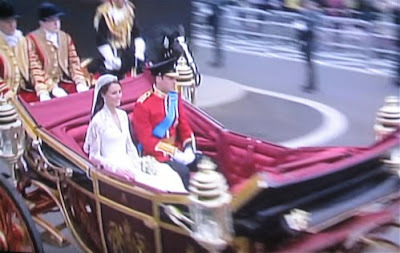 I Love, Love, LOVE Kate's, or should I say the Duchess of Cambridge's, wedding dress!